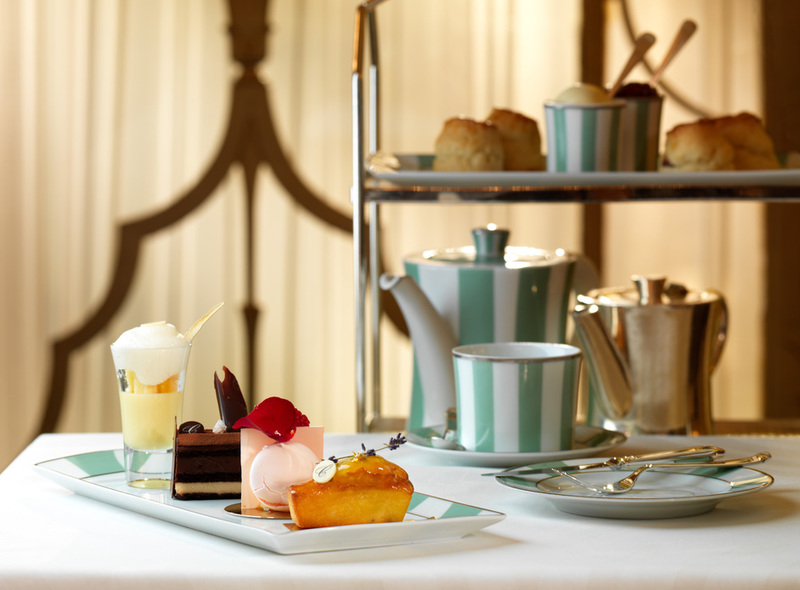 Named the Tea Guild's Best Afternoon Tea in 2006, 2011 and 2012, and presented with an Award of Excellence an impressive five times, Claridge's is one of the top locations for Afternoon Tea in London. Served in the Foyer and Reading Room, the hotel boasts all the details needed for the traditional British custom. The Art Deco interior of Claridge's saw a stunning refit in 1999, bringing it back to its awe-inspiring former glory and worthy of its affectionate title "the extension to Buckingham Palace". The centre piece of the Foyer is a huge glass chandelier by Dale Chihuly, adding to the magic of the venue, and the Reading Room is ideal for intimate occasions. Diners are accompanied by a pianist and harpist while they choose between more than 40 different blends of tea from around the world and devour classic finger sandwiches, pastries and moist, fluffy homemade raisin and apple scones served with Marco Pollo jelly and Cornish clotted cream. There are three delectable options: the traditional Afternoon Tea, the Champagne Tea and, for really pushing the boat out, the Rose Champagne Afternoon Tea. Seasonal options for the Chelsea Flower Show, Lawn Tennis and Christmas are also available, as well as a Children's Afternoon Tea. If you want to join the ranks of princes, politicians and personalities, this is the only place to sip afternoon tea. Claridge's Afternoon Tea gyms, sporting activities, health & beauty and fitness. The best pubs near London Claridge's Afternoon Tea. Claridge's Afternoon Tea clubs, bars, cabaret nights, casinos and interesting nightlife. Where to have your meeting, conference, exhibition, private dining or training course near Claridge's Afternoon Tea. From cheap budget accommodation to luxury 5 star suites see our special offers for Claridge's Afternoon Tea hotels, including Radisson Blu Edwardian Berkshire Hotel from 88% off.